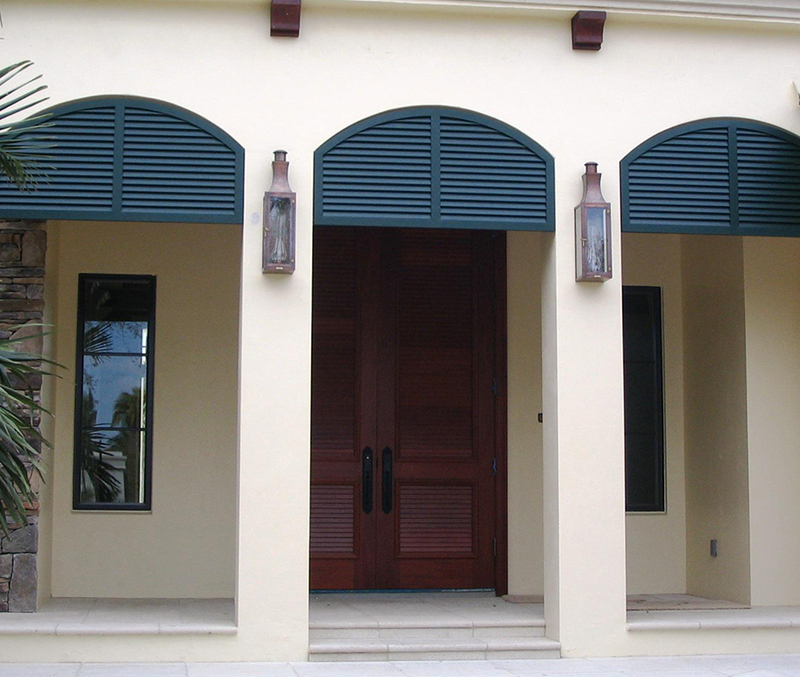 Bahamas are typically large exterior shutters hinged at the top with the open end facing downward. Colonials are hinged on both sides of the opening and fold toward the center. When closed both types offer protection from the sun, privacy, and also security. 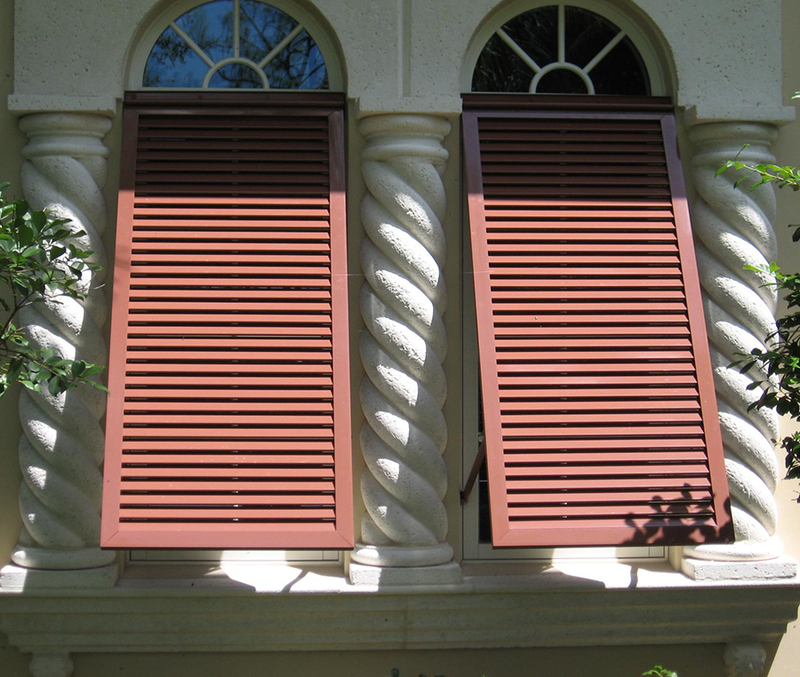 These shutters are unique in that they become an architecturally pleasing addition to the home as well as protection from the elements. We can manufacture virtually any size and configuration imaginable and when combined with custom powder coat color selections these shutters can become an integral part of the look of any building. Bahama/Colonial shutters come in two configurations – strictly decorative and also storm rated. We offer both selections.